Mitchell Webb is the founder of The Fashion Webb fashion & lifestyle blog, which was launched in January 2016 and has grown to have more than 20,000 followers. He has a BA Honours Degree in Fashion Marketing at the London College of Fashion, and professional expertise in social media, marketing and branding. 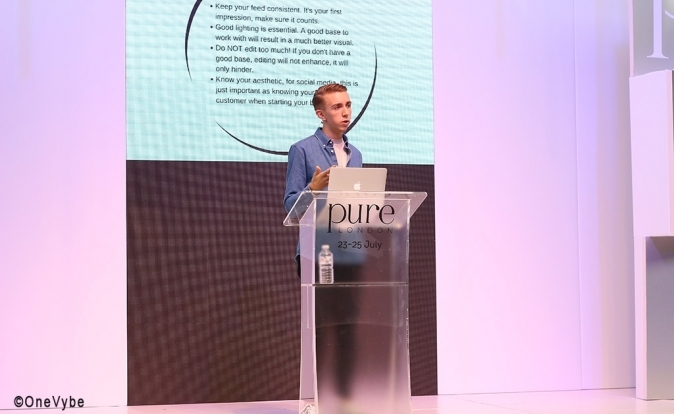 At the fashion trade show, Pure London, Mitchell Webb gave some advise on how to create engaging online content that can help retain followers.